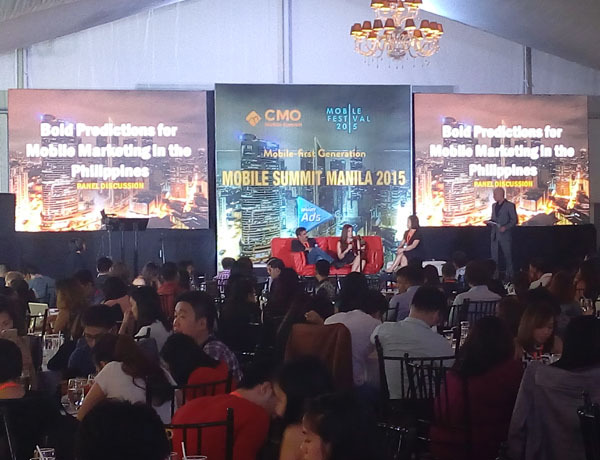 The 1st Manila Tech Convention was held in MOA-SMX last July 29 – 30, 2017. 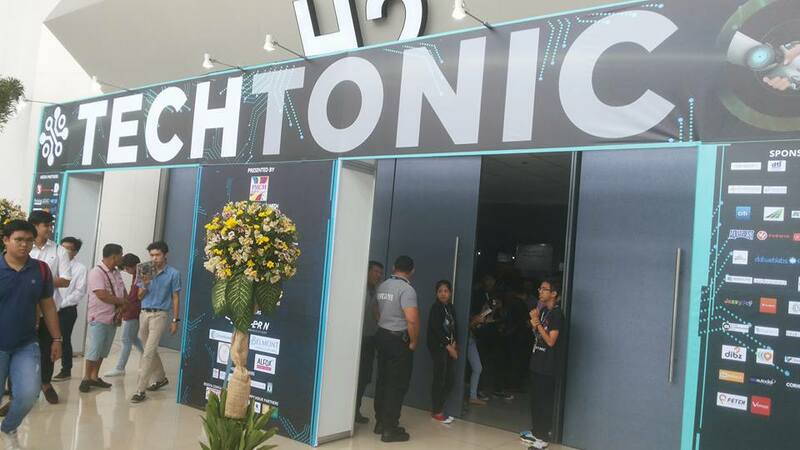 Techtonic 2017 was a rousing success for all stakeholders in the Philippine Startup Ecosystem and has made its mark in Philippine industry. 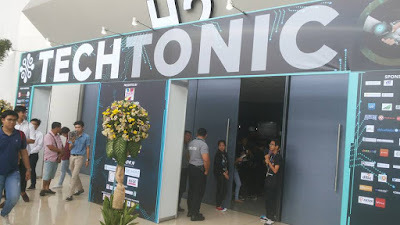 Techtonic was the biggest technology innovation event the country has ever seen and the wide variety of startup technology participants serves proof that there is indeed an active and vibrant startup sector in the Philippines. SMX Hall 2 served as Ground Zero for the technology convention with 210 participating startups and more than 4,000 registered attendees from July 29, -30, 2017. The startups ranged from transportation innovations, data analysis, jobs generation applications, food quality monitoring, delivery apps, health apps, content creation, consumer convenience and even agriculture applications. Of course there were the learning opportunities presented during the panel discussions participated in by local and foreign industry leaders and experts. Topics ranged from startup birth pains, bootstrapping all the way to fundraising and emerging trends for startups. The keynote address by Sen. Bam Aquino kicked off the convention wherein attendees and participants discovered the diverse startup landscape in the country to be filled in by learning about the needs of stratups from the panel discussions. 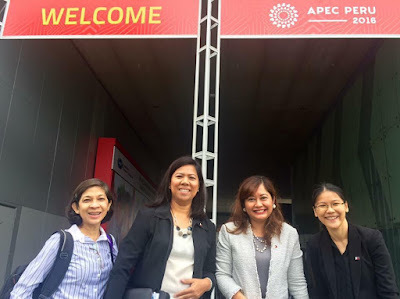 The one other important activity was the linking and networking between the stakeholders such as startup founders, funders, industry experts, government and even those in the academe. 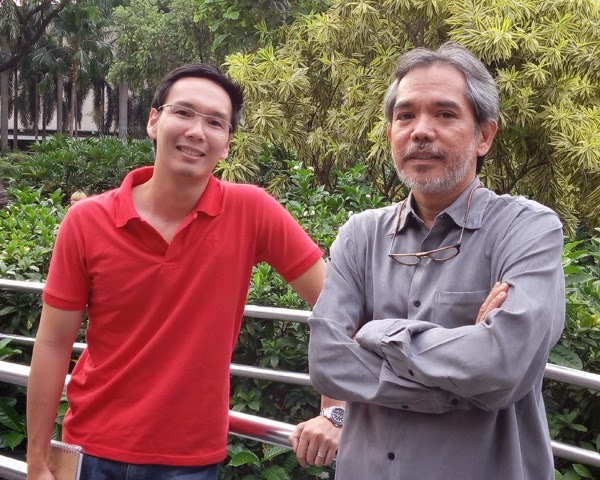 The interaction between them gave impetus to a wider and more far ranging confidence in the Philippine startup sector. Already, the next Techtonic is being scheduled for August next year 2018. 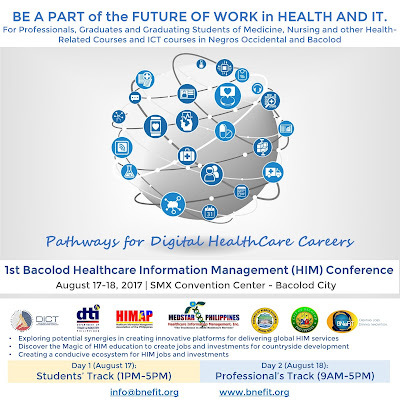 A province-wide conference on healthcare information management (HIM) industry is set this August to aggressively push Bacolod and Negros Occidental as potential locations for HIM-related jobs and investment. 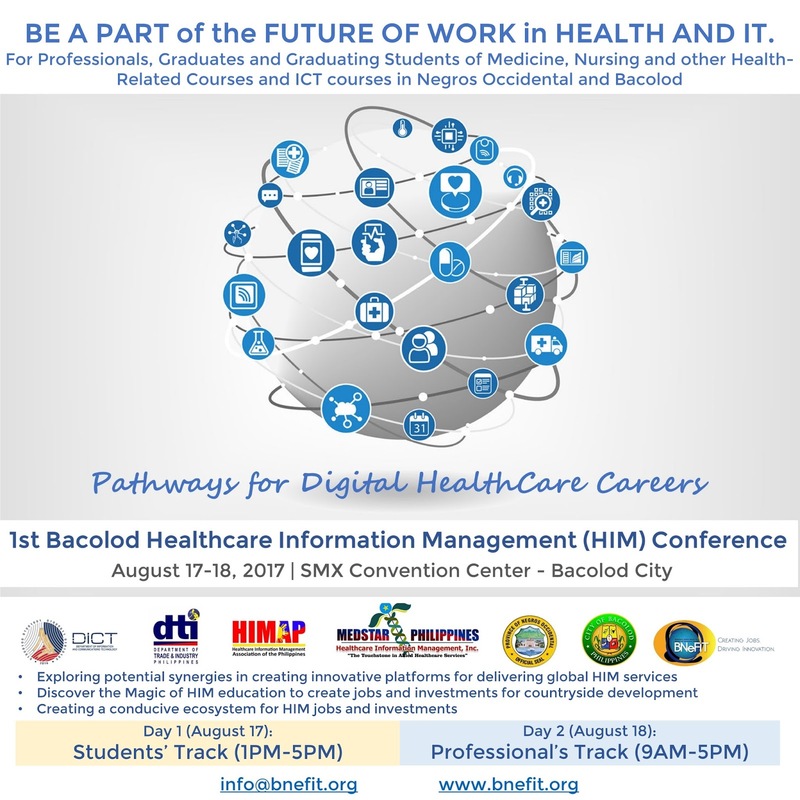 The Bacolod-Negros Occidental Federation for Information and Communications Technology (BNEFIT) in collaboration with Department of Information and Communications Technology (DICT) and MedStar Philippines HealthCare Information Management Corporation will be hosting the 1st Bacolod Healthcare Information Management (HIM) Conference on August 17 and 18, 2017 at SMX Convention Center - Bacolod. MedStar Philippines specializes in training and placing certified medical coders and billers and has chosen Bacolod to be their first site for training and deployment. The American Healthcare Information Management Association (AHIMA) defines health information management (HIM) as the practice of acquiring, analyzing, and protecting digital and traditional medical information vital to providing quality patient care. It is a combination of business, science, and information technology. The conference aims to gather all local stakeholders to scale up the potential of the countryside in attracting HIM jobs, opportunities, and investments, and bring everyone on the same page in the area of HIM education and training. Expected participants for the first day are graduating students from all medical, health and information technology (IT)-related courses. For the second day, invited delegates as various officials from all the municipalities and cities in Negros Occidental, including Bacolod, top level executives from colleges, universities and training institutions, medical, healthcare and IT companies, national and local government executives, real estate developers and other private sector stakeholders. BNEFIT Executive Director said the event has three major objectives, namely to explore potential synergies in creating innovative platforms for delivering global HIM services; to discover the importance of HIM education to create jobs and investments for countryside development and to create a conducive ecosystem for HIM jobs and investments. Topics during the event will touch on careers for HIM professionals who will work in a variety of different settings and job titles. According to AHIMA, they often serve in bridge roles, connecting clinical, operational, and administrative functions and affect the quality of patient information and patient care at every touch point in the healthcare delivery cycle. HIM professionals work on the classification of diseases and treatments to ensure they are standardized for clinical, financial, and legal uses in healthcare. In short, health information professionals care for patients by caring for their medical data. 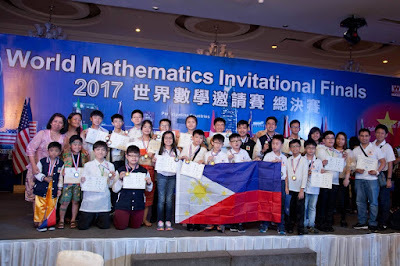 Young Filipino math wizards triumphed in an international math competition in Vietnam, bagging a total of 41 individual awards. The Philippine Team, composed of students from various schools, won big at the World Mathematics Invitational (WMI) held from July 14 to 18 in Ho Chi Minh City, Vietnam. The group took home 10 gold medals, 19 silver, nine bronze, and three merit awards. Jubilee Christian Academy’s Jerome Austin Te, 9, obtained a perfect score and was declared the grand champion at the Grade 3 level. Lorenzo Franco Kasilag, Grade 4 student of Diliman Preparatory School, got a gold medal for his performance in the written part of the olympiad, and a bronze medal for his video presentation in the Mini-Math Creative category. Maria Monica Manlises, Grade 8 student of St. Stephen’s High School, bagged silver medal and a merit award in the written part of the Research Project Regarding Math category. Founded in 2013 in Taiwan, WMI is an international math contest that gathers students institutes and organizations worldwide “that make efforts in promoting and popularizing mathematics,” according to its website. Over a thousand students from the Philippines, United States, China, Bulgaria, Iran, Malaysia, Indonesia, Thailand, Hongkong, Macau, Taiwan, and Vietnam participated in this year’s competition. In 2016, the Philippines had its first micro-satellite, Diwata-1. This micro-satellite put the Philippines in the Space Age. Diwata-1 has imaging technology that is used for weather mapping, agriculture, land surveys, and even military purposes. The country does not intend to stop there. Diwata-2 is designed to further build Philippine Communications technology advanced capabilities since Diwata-1 has only image generation capacities. Diwata-2 is scheduled to be launched by the middle of 2018. 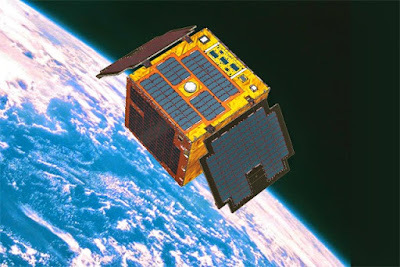 It is the second Filipino developed and designed micro-satellite. Diwata-2 has an added telecommunications component. That is according to Carlos Primo David, executive director of the Department of Science and Technology-Philippine Council for Industry, Energy and Emerging Technology Research and Development (DOST-PCIEERD). Like Diwata-1 a team of Filipino engineers in Tohoku University and Hokkaido University is currently at work in developing and constructing Diwata-2. “We’re putting in a telecom component. 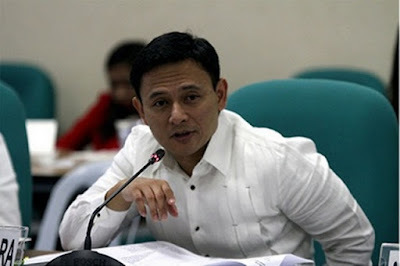 So (we) can communicate via satellite,” David said at the PCIEERD 7th anniversary celebration at the PICC in Pasay City. “And it’s not Japanese technology. 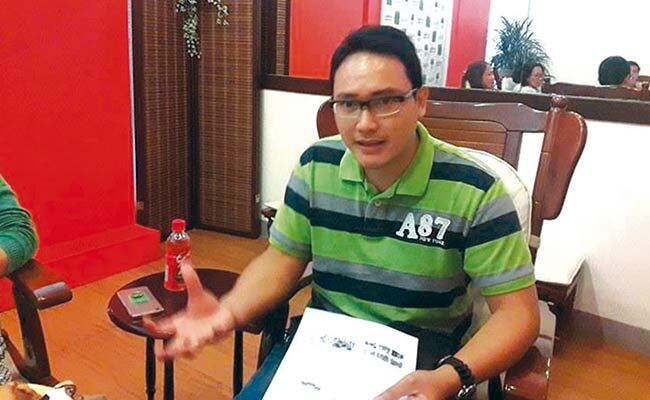 The telecom part is developed purely by the Filipino engineers,” David also said. “This will be the start of our (satellite) communications technology,” David said. “Just imagine, this is the Philippines. When the satellite passes through us, as long as it’s above us, we can communicate anywhere via satellite,” David disclosed. “With Diwata-2, we can send messages to the satellite, and the satellite will send these back to whomever we want,” David added. “Rarely are they combined together in one satellite. So I see the benefits of taking pictures but more so for the communications part. Imagine, during a disaster when all the networks are down, or even in an isolated barangay, now there’s a chance for you to communicate from there to wherever,” David also stated. Diwata-2 will pass by the Philippines six times a day same as Diwata-1. TechBlade has been featuring Diwata-1 even before it was launched last year. 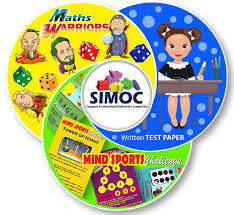 Filipino students garnered medals, trophies, and awards from the Singapore International Math Olympiad Challenge (SIMOC). The haul included 12 gold, 10, silver, and 11 bronze medals together with 6 merit awards. In the Math Warriors Team category, the PH Team won 1 gold, 2 silvers and two bronze medals. There was another bronze medal awarded in the mind sports challenge. Hereunder is the list of winners according to their categories and grade levels. - Avendano, Mariane Desiree Caballero (Grade 9, School of the Holy Spirit of Quezon City). 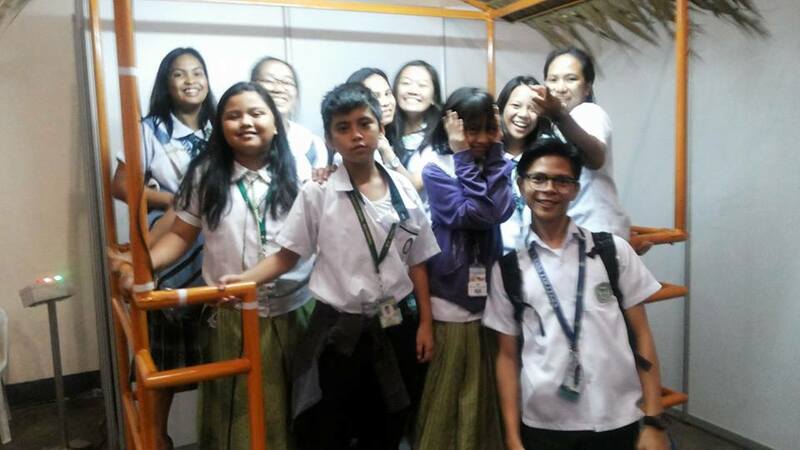 The Asian Math Sci League Inc. in cooperation with the DepEd and the Department of Science and Technology spearheaded the organizing of the country’s participation in the SIMOC. This year’s SIMOC, held at the National University of Singapore had 1,200 student participants from Grade 2 up to Grade 10. The participants came from 20 countries. A student from the Philippine Science High School (PSHS) Main Campus won the Silver Medal at the International Mathematical Olympiad (IMO) at Rio De Janeiro held last July 18 -29, 2017. 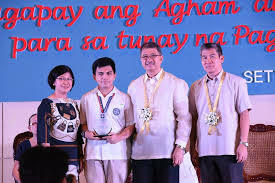 Kyle Dulay of PSHS garnered 24 points in the competition, 1 point shy of the Gold Medal. It was the 58th IMO edition and the first held in Rio de Janeiro, Brazil. Also, the Philippine Team placed 17th in the math Olympiad in a field participated in by 111 countries and had 615 competitors. The IMO was first held in 1959, in Romania and is one of the most prestigious mathematics tournament in the world. It is organized by the Organized by Instituto de Matemática Pura e Aplicada (IMPA), and was conducted with the International Congress of Mathematicians. Its aims are to stimulate interest in Mathematics among the world’s youth and also as a means of creating exchanges of ideas among different cultures. The 58th IMO is part of the Biennium of Mathematics 2017–2018 Gomes de Souza, an initiative that aims to disseminate mathematical and scientific knowledge throughout society. Kyle Dulay has participated in previous IMO editions and has won the Gold in the 206 57th IMO and the Bronze medal in 2014. He was also the National Math Champ in the 2016 Metrobank MTAP-DepEd Math Challenge. 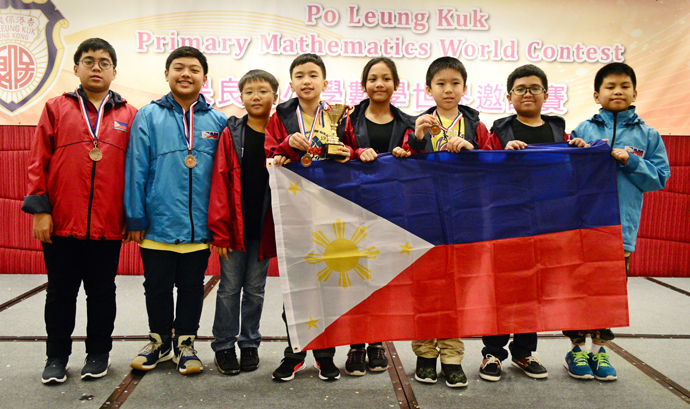 The Philippine Team composed of Primary Level students bagged 4 awards in the 20Th Po Leung Kuk Primary Mathematics World Contest (PMWC) held in Hong Kong last July 16, 2107. The PMWC aims to enhance the interests of primary level students in mathematics and also serve as a venue for academic and cultural exchange for the students of participating countries. Organized by Po Leung Kuk and The Education University of Hong Kong, this year’s competition was composed of a field of 14 countries that included the United States, Australia, China, Macau, Hong Kong, Taiwan, Thailand, Malaysia, Indonesia, Vietnam, Bulgaria, South Africa, South Africa and the Philippines. According to Dr. Simon Chua, COO of the Mathematics Trainers Guild of the Philippines (MTG), the Filipinos were awarded one silver, two bronze medals, and a merit award in the team contest. The silver medal went to Alvannn Walter Paredes Dy of St. Jude Catholic School and the two bronze medals were awarded to Walsh Nico Adrian Letran, also of St. Jude Catholic School and John Florence Dizon of Calamba Elementary School. In the team contest, all the three mentioned awardees were joined by Juan Rafael Landicho of Stonyhurst Southville International School. The PH team earned a Merit Award. “I felt a sign of bronze or silver medal in my head,” Paredes Dy said, who was able to correctly answer 13 of the 15 questions. The PH Team also included Rovi Gabriel Dela Cruz of Pasig Catholic College, Theodore Abara of La Salle Greenhills, Rovi Gabriel Dela Cruz of Pasig Catholic College, Armea Helena Sien Dimayacyac of Notre Dame of Greater Manila and John David Magnaye of Holy Rosary Academy of Las Pinas City. The Team Leaders that accompanied the Philippine Contingent were Dr. Chua, Renard Eric Chua and deputy team leader Mikaela Angelina Uy. The Philippine Team also bagged Second Runner-Up in the event last 2016. At the National Science and Technology Week 2017, I found out what these children were thinking about as the place was literally overrun by students from so many schools. Their interest in Science and Technology astounded me and I compared myself to them when I was at their age. They took to S & T like fish to water. It did not really matter if they came from Tier 1 schools or Public Schools. I talked about how as a 3-year-old then, I watched on TV the moon shot and the first men walking on the moon. That when I was asked then what the astronauts would find on the moon, I answered: "girls wearing bikinis!" They laughed. I also told them that even way back then I was also interested in Science and Technology. During my conversations, I realized that the future is in good hands. They are after solutions and I asked them where they got their ideas about the problems of this country. Most said it was from the news but there was also a considerable number who cited personal experience. One student was really motivated to find a cure for cancer because his Lola who took care of him since birth succumbed to the disease. Another said that she wanted to find a rice variety that will yield 100 cavans of rice with each grain planted. She said they went hungry so many times that she could not remember the number of times they did not have enough food. Their eyes told it all, the motivation, the hunger for knowledge and their professed faith for solutions. They asked me "Tatay (that's how I am perceived by now), how come they have not yet invented or discovered the solutions to that are now our problems?" I was ashamed because I could not give an answer. We should have learned by now. The guides, manuals, and books for the solutions should have been written by now. Maybe it is not too late to come up with the solutions but as for me, I find it our generation's duty to ensure an environment where their ideas and dreams can come true, that they deserve a fighting chance. Nobody there told me that they wanted to be rich. Nobody wanted to be a boxer, singer, beauty queen or an actor or actress. As young as they are, they know. They really know. Well, I guess we hold the line as best as we can until they flourish and bloom. Tech startups and geeks from across the Philippines and abroad are joining hands to support the displaced residents of Marawi. 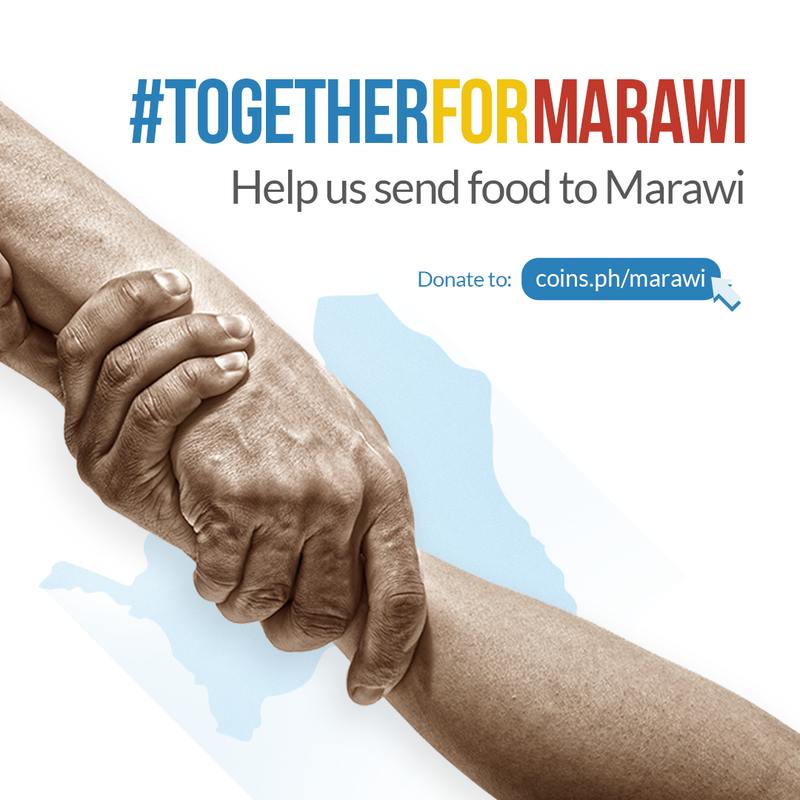 The initiative, dubbed #TogetherforMarawi on social media, aims to raise funds for the 400,000 people currently displaced by the ongoing conflict. The campaign, and donations raised can be tracked in real time through a dedicated public website (www.coins.ph/marawi), organized by local payments startup Coins.ph. To date, nearly a dozen companies have committed to contribute to the #TogetherforMarawi campaign, promising to donate a day’s worth of salary towards the cause. Companies that have already pledged their support include Kickstart Ventures, Satoshi Citadel Industries, Tala, BlastAsia, CapChain, PaidUp, QuickReach, WaveMaker Partners, Quona Capital, PawnHero, and Kalibrr. "Marawi hits close to home for Kalibrr as we have a team member from there, and we're glad to partner with Coins.ph to enable those with the ability to help those in need," said Paul Rivera, CEO of Kalibrr. To help boost the campaign, Coins.ph will also be donating 5 pesos for every load purchased or unique bill paid through its mobile app on Monday, July 17, and is seeking to raise 250,000 PHP. The proceeds of this initiative will be donated to non-profit organizations Philippine Red Cross and Save the Children to buy food, water, and sanitary items for the refugees in Marawi. “The humanitarian crisis in Marawi continues to grow worse every day and we realized that we cannot simply stand by while this happening,” said Ron Hose, CEO of Coins.ph. 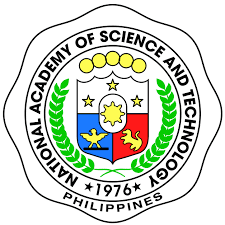 The 2017 National Academy of Science and Technology (NAST) will confer awards to the Outstanding Young Scientists (OYS) of the country during its NAST 39th Annual Scientific Meeting on July 12, 2017. 1. Aletta Concepcion Yñiguez with her research on marine biology and fisheries led to the development of The Ocean Protector. It is the first integrated biophysical models for sardine fisheries and algal bloom management. This aims to strengthen further the sardine fisheries industry sector. 2. Jeffrey Perez developed the Faultfinder. The research is about the geological fault distribution and identifying faultlines in the country. This is of critical importance since faultlines must be identified and included in current hazard maps distributed by Phivolcs. 3. Nathaniel Hermosa II is currently conducting research on light and its applications. The Light Shaper as the name explains is that using fiber optics wherein light is used in transmitting data is limited by having a binary system. According to the research being conducted, if light can be shaped then the amount of data being transmitted can be increased considerably. 4. Phillip Aviola is conducting wildlife research at UP Los Baños. 5. Dr. Lanndon Ocampo from the University of San Carlos for industrial engineering. 6. Mario Antonio Jiz II on medical sciences at the Research Institute for Tropical Medicine. 7. Jayeel Cornelio on the sociological sciences at Ateneo de Manila University. 8. Krista Danielle Yu on economics at De La Salle University. The awardees are aged 41 and below. To qualify, they must be nominated by the Heads of their respective institutions. The OYS award has been given by the NAST annually for 40 years now. To become one, a scientist must be nominated by heads of institutions and organizations. DAVAO. 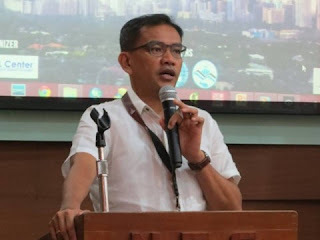 DOST-Davao One Expert administrator John Rey Orozco said during Tuesday’s Davao Business Forum at a mall in this city that anyone with scientific research and consultation needs can use the One Expert website which will connect them to experts. It is acknowledged that Micro, Small and Medium Scale Enterprises (MSMEs) have the right idea but needs support in terms of technical, operational and management capacities. In Davao, the Department of Science and Technology (DOST) regional office has commenced with providing MSMEs with an interactive platform that connects MSMEs with about 1,000 experts wherein technical assistance can be acquired. The platform is called One Expert (1E). As of June 2017 the program has already given assistance to about 40 MSMEs. This was stated by DOST-Davao 1E administrator John Rey Orozco at the Davao Business Forum at SM City Davao. 1E is composed of pool of science and technology experts wherein technical and consultancy services can be tapped by MSMEs for their business operations. Launched last 2016, 1E’s objective is to establish a network of experts in science and technology all over the country. It will promote the sharing of knowledge and information among researchers, experts and then will be cascaded to MSMEs that require such information and best practices. 1E has a database from experts coming from diverse disciplines such as agriculture, aquaculture, energy management and audit of operations, food safety and manufacturing efficiency. It also contains links to Starbooks, a digital library created by the Science and Technology Information Institute. “Everyone can easily connect through their computers, laptop, tablets or smart phones. One just need to register to talk to any of the experts through private messaging, participate in the group chat or forum (Mingle), and read the latest information and innovation in science and technology through ‘In the Spotlight’,” Orozco stated. “All services from experts from DOST staffs are free but those private experts are charged depending on the services provided,” Orozco said. The 1E program has currently a resource base of 1,000 experts nationwide who are members of The National Academy of Science and Technology, National Research Council of the Philippines as well as researchers and scientists from DOST funded projects. To know more about 1E, you may visit One Expert website or download the app on Google play. 46 teachers and trainers from all over Mindanao underwent the Certified Secure Computer User (CSCU) training and certification examination of EC-Council (ECC) hosted by CDO ICT Business Council at Cagayan de Oro College-Phinma Education Network, Cagayan de Oro City. The overall passing rate for the certification training was 93%. This marked another successful leg of the series of trainings conducted throughout the country which started in Bacolod last June 30 to July 1. The succeeding schedules will be in Legazpi City (Luzon) on July 6 and 7 hosted by Legazpi ICT Council-Albay ICT Association, and Metro Manila on July 10 and 11 hosted by Quezon City ICT Council. This pilot program was jointly created by the National ICT Confederation of the Philippines (NICP) and WISSEN International-Singapore in order to spread the cyber security awareness and enable schools all over the Philippines to equip students through training and certification programs provided by ECC. “Now, we have teachers who can help cascade what they have learned to their students and at the same time, we have an opportunity to now conduct certification tests for CSCU on behalf of the EC Council.”, she mentioned further. 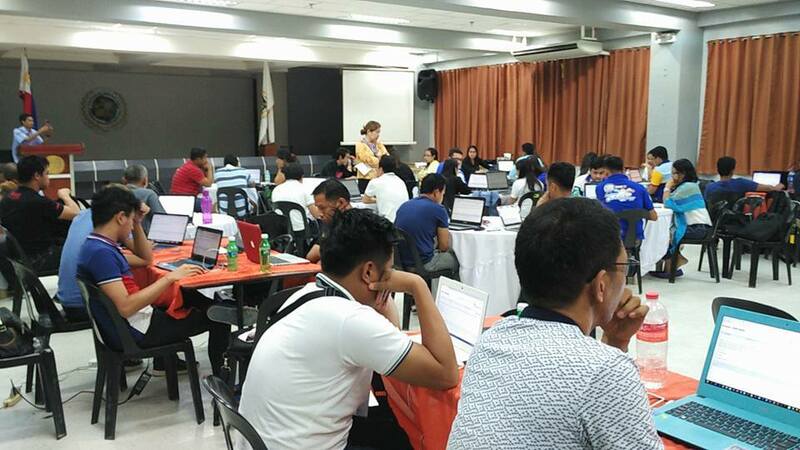 “Mindanao teachers are eager to grab this opportunity as they also felt the need to prepare themselves and their students to embrace the country’s digital transformation and the accountabilities that they need to face.”, added Jonathan Arvin Adolfo, Executive Director of CDO ICT Business Council. The Bacolod-Negros Occidental Federation for Information and Communications Technology (BNEFIT) is the authorized training center (ATC) partner to facilitate and support in the delivery of ECC courses in the Philippines. EC-Council (ECC) or the International Council of Electronic Commerce Consultants, is best known as a professional certification body for the IT security field, a professional organization that is headquartered in Albuquerque, New Mexico. It runs an EC-Council University and also operates a series of IT security conferences. 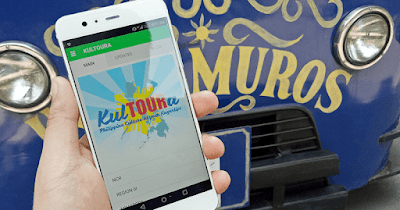 More Fun in PH with KulTOURa App! Experiencing the Philippines just got easier for tourists. This is because the Department of Tourism (DOT) and the National Commission for Culture and the Arts (NCCA) has introduced a mobile app that is designed to help tourists in the travels in the country. The app called KulTOURa provides the tourists with information with regards to popular attractions, famous landmarks, historical places, heritage sites and nature parks. Also, the app points to details on culture, food specialties, historical figures and must see destinations in selected cities. The app was launched last June 19, 2017, both the DOT and NCCA in cooperation with Smart Communications and InnoPub. “The KulTOURa app was created to help the tourists and students to learn more about the culture and traditions of the Philippines. This will help foreign visitors interested in the rich history and beautiful places of our country,” as stated by NCCA President Virgilio Almario. It was described as the most comprehensive guide for those traveling in the Philippines since information is sourced from the NCCA and that is an authoritative guide on places and culture. The wide use of smartphones and mobile devices has made the app a helpful tool not only for tourism but for students who need to know the culture, history and natural beauty of the country. KulTOURa is available and free on both Android and iOS. 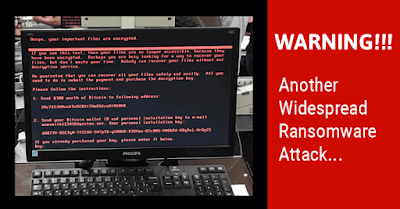 Last May 2017, the world expererience a massive cyberattack wave caused by the WannaCry Ransomware. It affected 300,000 organizations globally and caused damage to corporate, government, academic and personal systems. Another ransomware has caused damage starting last June 27,m2017. It is called Petya and has also caused damage in more than 60 countries. The Department of Information and Communications Technology (DICT) is closely nt monitoring the most recent cyberattack in the world’s systems. The DICT has yet to receive reports of any disruptions being experienced in the country. The DICT is coordinating closely with professionals, experts and industry specialists with regards to addressing the issues and concerns that might be caused by the Petya ransomware. DICT Assistant Secretary Allan Cabanlong who is in charge of the department’s cyber security and enabling technologies disclosed the efforts being made and has also gained insights and information just coming from a meeting of global cybersecurity specialists in Germany. The pattern of the Petya ransomware follows the WannaCry method wherein fules are encrypted and payment for releasing the encrypted files are demanded using bitcoin as ransom payment. “This is about the meeting of cybersecurity experts around the world at the George C. Marshall Center for European Security Studies of which I am an Alumnus. Called Communities of Interests, we are evaluating strategies for the right understanding and implementation of cybersecurity in the field of defense and cybercrime,” Cabanlong said. Cabanlong emphasized that cybersecurity systems are critical component in all systems since there are vulnerabilities that can be exploited by the malware infecting computers worldwide. The DICT has already issued a memorandum to all concerned agencies and private institutions about the current systems infection and possible countermeasures. The DICT released an advisory that using patches for Windows OS can be used so that it will disable the server message block file-sharing protocol and the Widows management instrumentation command line. Step 1: Patch your Windows system/s. Look for your version on the list. Step 2: Disable SMBv1 file-sharing protocol. Despite the introduction of new criteria and a change of branding, Bacolod City holds on to the 2017 Tholons Top 100 Super Cities landing in the 97th spot down from its previous year’s ranking at 85th. 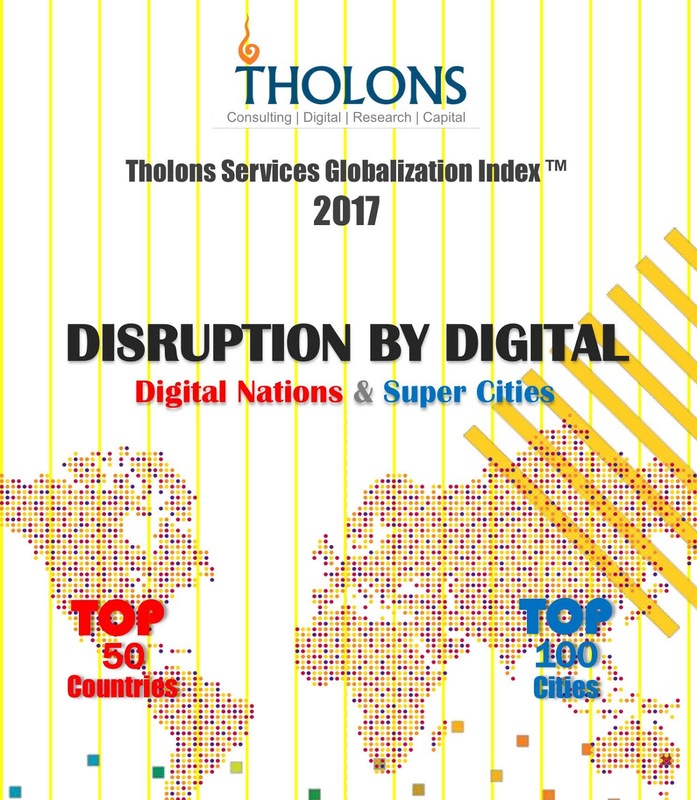 In this year’s ranking the Philippines came in third to India and China as Top 50 Digital Nations, considering that it only has five “super” cities compared to India which has fourteen and China with six in the list. Last 2016, the Philippines has a total of nine cities in the list. Bacolod information and communications technology (ICT) stakeholders are still thankful but challenged about this development since the decline shows that more efforts need to be done especially in the criteria just introduced. At the same time, the inclusion of Bacolod is the current list positively validates local ICT stakeholders’ efforts towards developing an innovation ecosystem conducive to startups and digital disruptions and to push harder in this direction. Tracing the history of Bacolod in the Tholons ranking since 2006, the city was only in 2007 that Bacolod appeared in the Tholons radar until 2009. In 2010, Bacolod entered the list for the first time at No. 100. In 2011 and 2012, Bacolod dropped out from the Top 100 list. In 2013 and 2014, the city re-emerged at No. 93 and then took a giant leap in 2015 to No. 86 and moved up one notch higher to No. 85. Bacolod-Negros Occidental Federation for Information and Communications Technology (BNEFIT) established in 2007, the same year that Bacolod entered the Tholons radar. In 2015, BNEFIT proposed the creation of technology business incubation center (TBIC) at the Negros First CyberCenter to support the growth of the startups in the province. 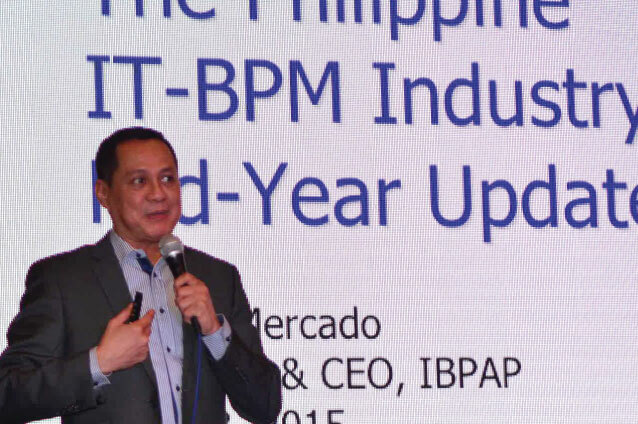 Batapa-Sigue believes BNEFIT initiatives and programs through the TBIC to develop more startups which will focus on knowledge process outsourcing (KPO) particularly software development, creative process like animation and game development and healthcare information management (HIM) – has been a big factor for the retention of Bacolod in the 2017 ranking. From one of the Top 10 Next Wave Cities since 2009, Bacolod was elevated as a Center of Excellence in IT-BPM in 2013 and named as the industry's "beacon" in the 2017 Flare Awards of the IT Business Process Association of the Philippines (IBPAP). Batapa-Sigue said “without synergy, we will lose our momentum. If we refuse to think "out-of-the-box" and adopt the innovative culture, looking outwards and preparing our talent pool for the future of jobs - then we will continue to slide down”. In its 2017 report, the Tholons Services Globalization Index has transformed after a decade of thought leadership. The index evaluates ranks and provides location strategies to countries, governments, multi-lateral agencies, multinational corporations, analysts and investors. Digital is now a critical element in disrupting and transforming industries globally. Technology, Business process management companies and multinational corporations need to align with the stark reality of digital innovation and transformation. For the biggest leaders in Services globalization like India, Philippines, East Europe, most of their services will be commoditized. Digital transformation of clients and them asking for new services like mobility, analytics and cyber security cannot be delivered using the traditional business model. Secondly the undergoing automation of work like applications management, infrastructure support and testing, are reducing or in some cases eliminating the need for manpower. These forces will severely affect the IT service companies, cited by the report.